Manufactured in the UK, the Basilica Rectangle 5 light by Heathfield & Co is inspired by a romanticism of years past. 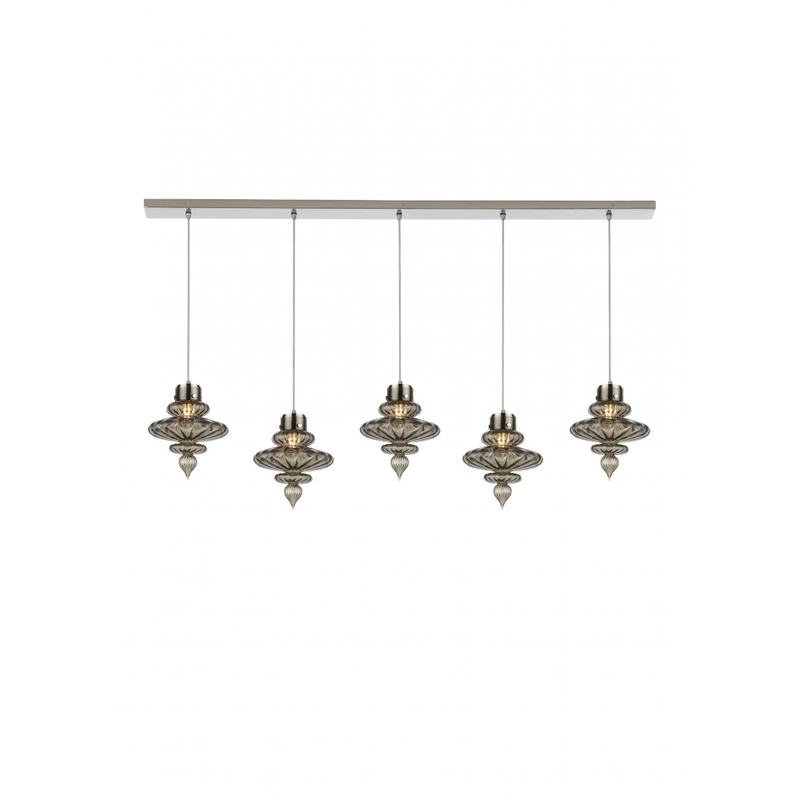 The elegant, curved forms and fluted detailing are complemented by a rectangular nickel ceiling plate. Cable heights are adjustable, offering a bespoke option for displaying the statement pendants. Available in smoke, opal jade and lustre finishes. Make an enquiry for more information.